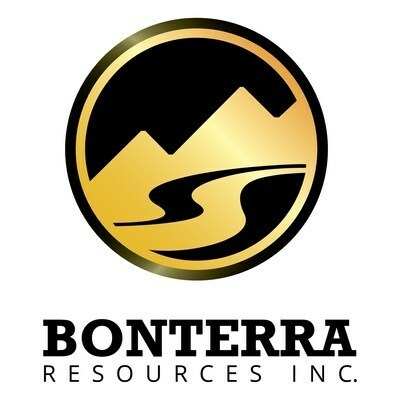 VANCOUVER, Sept. 19, 2018 /PRNewswire/ - Bonterra Resources Inc. (TSX-V: BTR, OTCQX: BONXF, FSE: 9BR1) (the "Company" or "Bonterra") is pleased to announce the discovery of a new high grade gold zone near surface to the north of the Gladiator Gold Deposit with an intersection of 27.4 g/t Au over 7.0 m. This new high-grade mineralization is located approximately 200 m north of the most northerly Gladiator zone (North Zone) and was located by drill hole BA-18-60 above 100 m in depth. 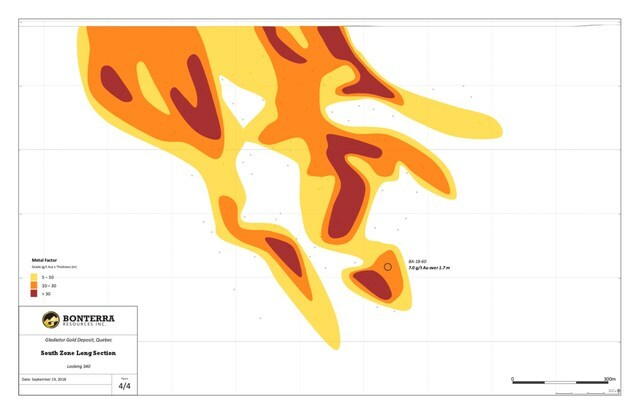 The mineralization and characteristics of this zone are very similar to the Gladiator Deposit and are similar to the Company´s current geological model. The model consists of parallel veins or zones and is open along strike and at depth. 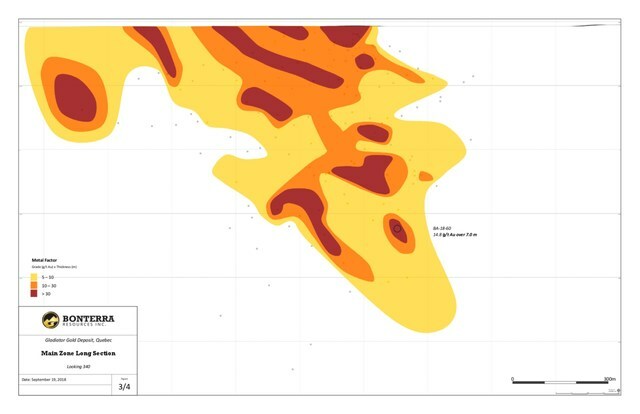 The recently optioned "Duke" property boundary areas have allowed the Company access for exploration into these areas of interest. This high-grade intersection occurs on Bonterra´s 100% owned Gladiator property. Follow up drilling is underway in order to test down dip and strike continuity. "Our geological model continues to produce results with this new high-grade zone that appears to project nicely from our established pattern of veining within the multi-zone Gladiator Deposit. Our recent option to earn interest in the Duke claims has allowed us to now step out northeast and southwest with drilling in order to locate new parallel zones. We are extremely encouraged with our first results in stepping away from the Gladiator to the northeast and look forward to extending the new zone further," commented Nav Dhaliwal, President and CEO. - BA-18-60 intersected a new high-grade zone located 200 m north of the North Zone with 27.4 g/t Au over 7.0 m. The intersection occurred between 96.0 m and 103.0 m down hole and contained numerous fine specks of visible gold within smoky quartz veining with pyrite and minor sphalerite mineralization, typical of the Gladiator Deposit. Follow-up holes are ongoing in order to validate continuity. 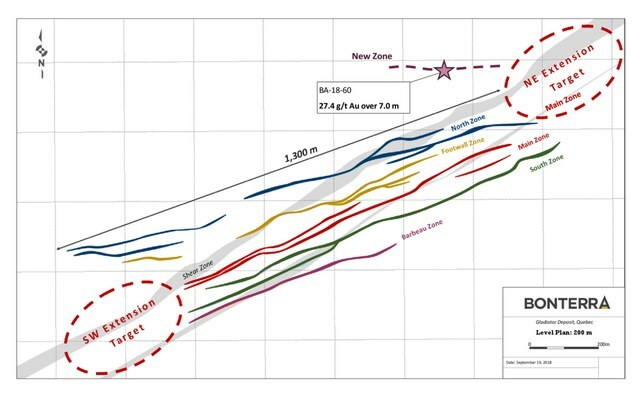 - BA-18-60 intersected the Main Zone at 600 m below surface with 14.8 g/t Au over 7.0 m. This intersection adds to continuity of high-grade mineralization at depth with shallow intersections along an easterly plunge. The ongoing resource development program continues to expand and define the Gladiator Gold Deposit ahead of the updated mineral resource estimate scheduled for Q4 2018. Drilling to be included in the upcoming mineral resource estimate has now been completed. Drilling continues with three drills at the deposit focused on extension drilling along strike to the northeast and southwest. - Strong shareholder base including: Eric Sprott, Van Eck, Kirkland Lake Gold.